Since 2008, federal law has required “parity” for most health insurance coverage of mental illness (including substance abuse) on the same terms as physical illness, and many states including Rhode Island impose additional requirements on nearly all health insurance coverage even in cases that would be exempt from federal rules. The Affordable Care Act of 2010 (“Obamacare”) further strengthened federal parity protections. 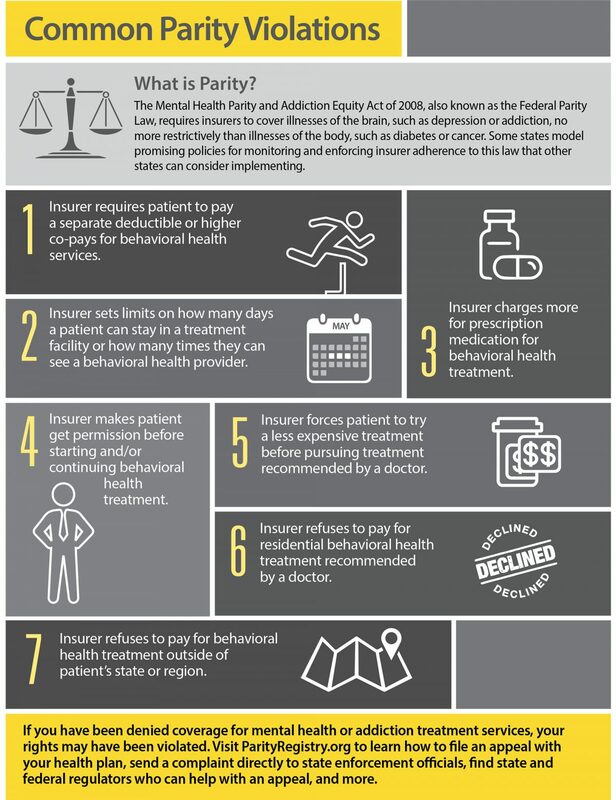 According to the National Alliance on Mental Illness (NAMI), parity means that in comparison with treatment for physical illness, patients seeking treatment for mental illness may not face higher costs or be limited to fewer visits; may not be subject to stricter pre-authorization; may not be denied services that are “medically necessary” and must be told the criteria for such determination; must have access to in-network providers taking new patients; and may not be denied residential or intensive outpatient (“partial hospital”) care including for substance abuse. 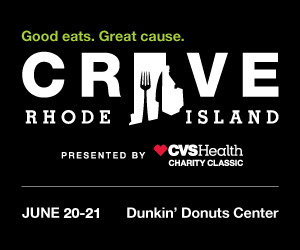 Rhode Island’s former US Rep. Patrick Kennedy recorded a five-minute video in which he says, “Insurance companies routinely deny coverage for mental health conditions and addictions, treating the brain as if it’s not really part of the body.” He was speaking on behalf of the non-profit Kennedy Forum that promotes brain health including mental health: Both Patrick and his father, Massachusetts’ former US Sen. Edward M. Kennedy, made health insurance a legislative priority and had well-publicized difficulties with substance abuse; the latter died in 2009 from an aggressive brain tumor. A preferred provider organization (PPO) health insurance plan allows patients to choose either to use in-network providers who bill the insurer directly or out-of-network providers who must be paid up-front out-of-pocket by the patient before hoping to be reimbursed from the insurer. “A majority of providers don’t work in-network,” Malcolm said. Compared to physical medical providers, “Mental health providers need to go beyond what other providers need to do in terms of justifying a particular treatment,” she said. “It’s very difficult and a hassle for mental health professionals to get certified by insurers to be in-network… On top of that, once in-network, it’s very difficult for mental health providers to deal with insurers in regard to patient treatment. It takes a lot of time and energy for them and so a lot of them just say ‘Not interested.’” An especially dire shortage is mental health providers for children, she said. 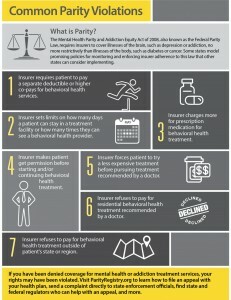 A major problem is that insurance reimbursement rates for mental health care providers are, contrary to law, significantly lower if they choose to join an insurer network, discouraging many providers from becoming in-network and creating a shortage, according to a December 2017 study conducted by actuarial consultant Milliman commissioned by the non-profit Mental Health Treatment and Research Institute. The study found that in 2015 RI PPO plan out-of-network utilization for behavioral health relative to physical medical was for in-patient services 7.85x worse (18.3% v 2.3%), for out-patient services 5.36x worse (29.0% v 5.4%), and for office visits 3.98x worse (9.7% v 2.4%). The study also found that RI average insurance payment compared to Medicare allowance is 89.9% for behavioral health care and 107.2% for physical medical care, a 19.30% advantage for physical over behavioral.